Nokia launched its new smartphone with Nokia X Platform OS. The new phone named as Nokia X2 and its estimated price is EUR 99 (About Rs. 8,100) excluding taxes and subsidies. 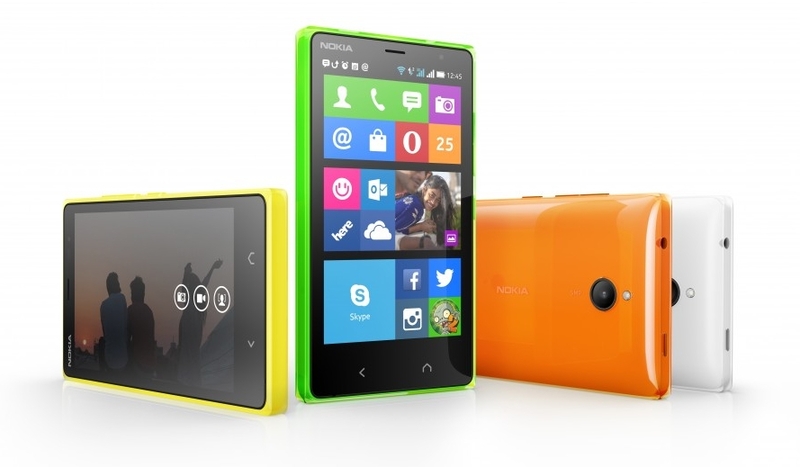 The new Nokia X2 available in Dark Grey, Glossary Black, Orange, Green, and Yellow colors. Nokia X2 comes with dual SIM and duall stand-by feature. The device sports 4.3 inch IPS LCD capacitive touchscreen display with scartch resistant glass and WVGA 800 x 480 pixel screen resolution. The deevice runs on Nokia X Platform 2.0 and powered by 1.2 GHz cortex A7 Dual Core processor alongside 1 GB RAM. Nokia X2 has 4 GB internal memory, and it expandable up to 32 GB using MicroSD cards. Also Nokia offers extra 7 GB clod storage on OneDrive. Nokia X2 sports 5 MP autofocus rear camera with flash and 0.3 MP front facing camera with video calling features. The phone support GPRS, EDGE, 3G,Wi-Fi with hotspot, Bluetooth with A2DP profile, USB, GPS with A-GPS and GLONASS, and 3.5 mm audio jack. Nokia X2 packed with 1800mAh Li-Ion removable battery, which offers up to 23 days stand-by time and up to 13 hrs talk time.